One of the famous mountain in the province of East Java is Mount Semeru in Lumajang, East Java. Mount Semeru is the highest volcano in Java, the mountain is one of the active volcano which is located at an altitude of 3,676 meters at Mount Semeru, there is a lake which is used as a tourist spot because of its beauty. 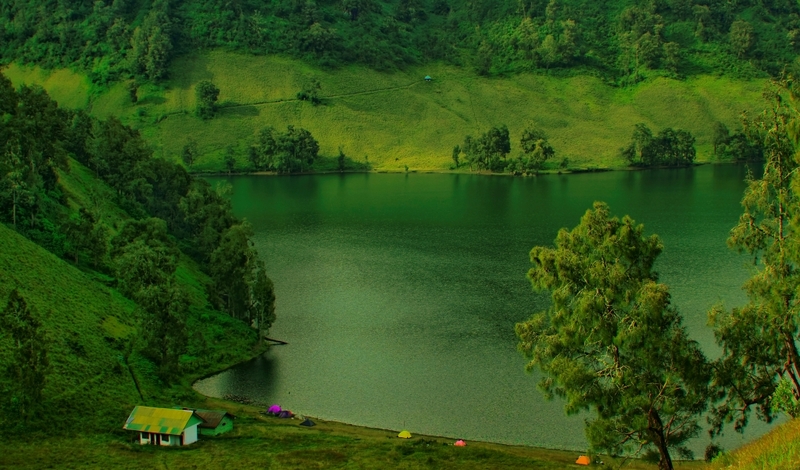 The lake is Lake Ranu Kumbolo. 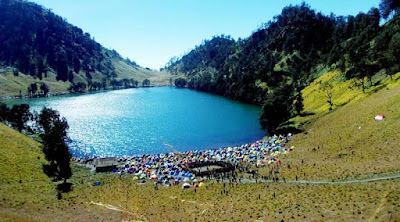 The lake covers approximately 14 hectares is located at an altitude of 2400 meters above sea level on the slopes of Mount Semeru, in Tengger mountain area. 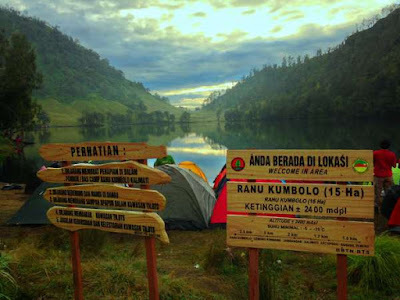 Travel Kumbolo Ranu is one place you can not miss when climbing Mount Semeru. The lake is often used as a camping hikers who want to reach Mahameru, the peak of Mount Semeru. Charm Lake Lake Ranu Ranu Kumbolo Kumbolo this saves a lot of beauty. 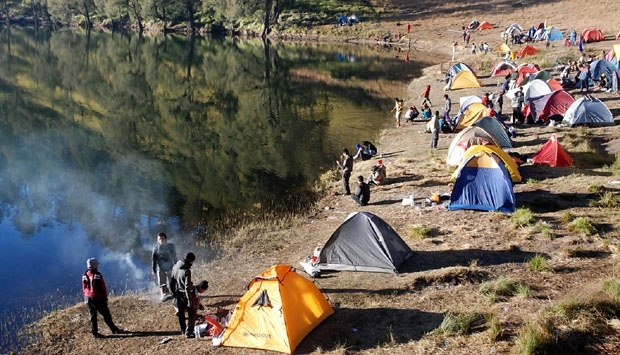 People who visit there are many set up tents to await the sunrise and sunset are very beautiful. The scenery at night is extraordinary. Of stars in the sky at night can be seen very clearly in this lake. 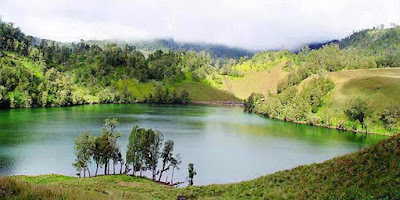 The water in the lake Ranu Kumbolo very clean and clear, so that it can be drunk directly. You are prohibited from bathing, waste water and swimming in this lake. 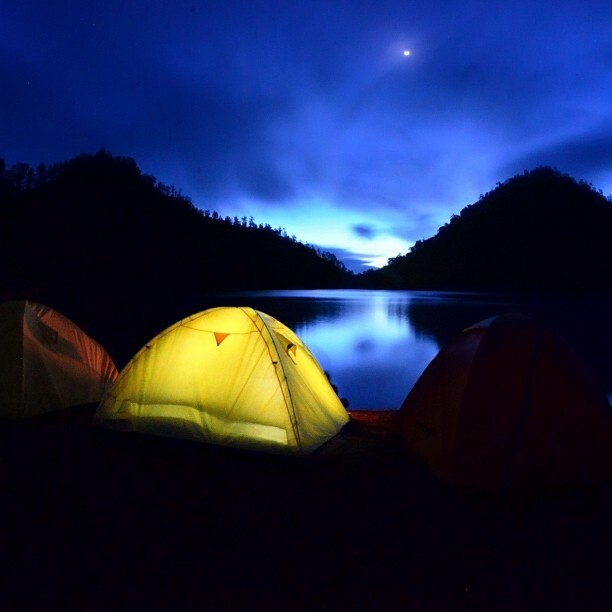 When the night air at Ranu Kumbolo can reach minus 5 degrees Celsius, therefore it is important for you to bring a special jacket climbing. Bring your own special plastic bags for trash. Do not leave trash in this environment even though only a pack of gum. 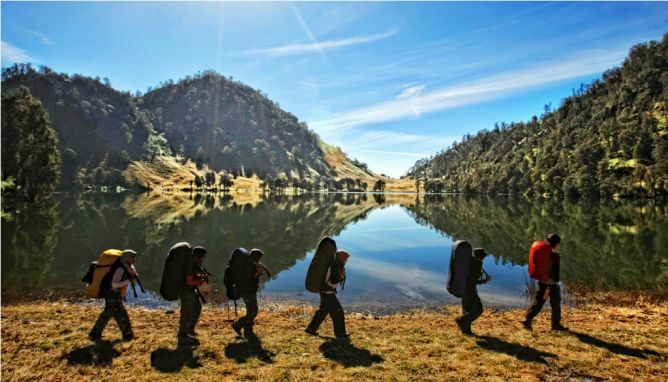 The beauty of Lake Ranu Kumbolo equipped with water in telaganya very clear. This water is safe to drink despite even without cooking. There are board ban for waste water, bathing, swimming, or washing in a lake so the water remains clear. 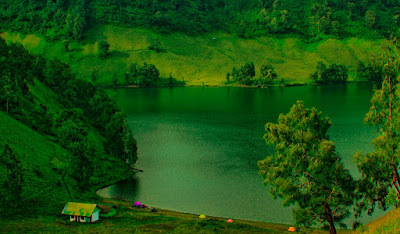 Discharge of water in this lake is never less all day throughout the year which makes the climbers chose this place as a transit point and setting up tents.